Florida sheriff’s deputies and firefighters saved the day for an autistic boy after no one showed up for his birthday party. Sixteen children skipped out on 6-year-old Glenn’s birthday party, thrown by his mother, Ashlee Buratti, in their hometown of Osceola, Florida. Buratti shared her disappointment in a post on the Osceola community’s private Facebook page on Feb. 8. “Probably one of the biggest hurts you can have to see [is] how let down your child is when nobody shows up for them,” Buratti wrote, according to WSVN. Buratti was shocked when sheriff’s deputies, firefighters and other community officials came together a few days later to throw Glenn another birthday party. Today on “The Real Story,” Gretchen Carlson spoke with two Osceola County Sheriff’s Department Deputies who were involved in the party planning. Sgt. Daryl Cunningham told Carlson that he felt terrible when he saw the Facebook post about Glenn. Cunningham said that several community members and officials got together to purchase Glenn gifts. He added that they brought motorcycles, fire trucks and other emergency vehicles to the party for the boy. Sgt. Kris Brewer said that she called in a special request for Glenn because he loves helicopters. Thanks to reasonablyliberal for posting this on his blog! According to euronews, police in Rome recently have broken up a mafia drug ring arresting 26 people and seizing more than 600kg of cocaine and hashish. Those arrested were members of the infamous Ndrangheta mob group. Anti-mafia magistrate Michele Prestipino says the Rome marketplace is strategic and helps mafia clans to accumulate criminal, political, and economic power. This happens in the U.S. as well, don’t kid yourself. As a former foster parent in our government’s system, I know all to well how it works; or better put, how it doesn’t work for the children it is supposed to be serving. This may be from another country… but make no mistake… it is already here and is active and it’s only going to get worse as the government feels they can do a better job of rearing your child than you can! Seven people related to the shooting suspects have been arrested in France. Police released photos of the two French nationals believed to have been located in the Aisne region northeast of the capital: brothers Cherif and Said Kouachi. They are said to have ‘trained in Yemen as assassins’ with links to terror groups going back 10 years. Police sources said the seven people arrested were mostly acquaintances of the two main suspects. The French prime minister Manuel Valls confirmed the two brothers were known to security services. 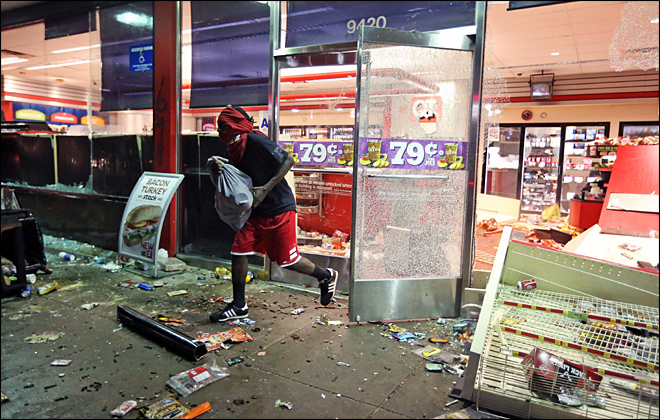 Ferguson Riots the Cancer of Hate. Thank you, Basharr, for putting this out here for us so we can reblog it! I hope every one does! The truth needs to gets out! I know it probably has no meaning to you but you might want to think for a moment about the lives you are destroying in your quaint little town. You have destroyed the livelihood of many business owners, jobs of many of your own people and shown yourselves for the animals that you are. I have seen feral animals act with more understanding of right and wrong than I have seen from you. You have turned on your own and done it obviously quite willingly, you have destroyed any sense of community in favor of showing your true desire to destroy that which is not yours. You will be the first ones to complain when you have to pay for what you have done and most likely you will be the last ones to pitch in to rebuild what you have destroyed.